Temperatures are reaching their peak across the U.S. and it can be easy to forget to drink enough water to fuel your body. 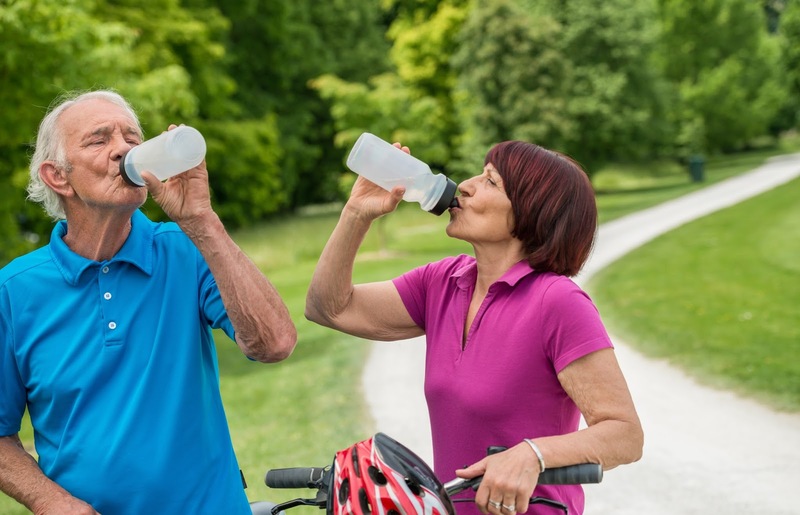 One of the most important aspects of a bariatric diet is to increase your water intake, especially during these hot summer months! If you struggle with finding ways to incorporate adding more water into your daily routine, our ideas can make getting more H2O a little easier. Getting the recommended amount of water each day can seem like a daunting task if you have to think about downing tasteless pitchers all day. Switch it up and add some excitement with healthy ways to add flavors! Some popular fruits include strawberries, lemons, limes, or even frozen raspberries for a unique way to keep your beverage cold. Cucumber is a popular choice for its mild, refreshing flavor. If you’re looking for something to get you hydrated and to keep you full until your next meal, any of our Bariatric cold beverages are a perfect choice; try the Fruit Punch for the perfect summer thirst-quencher! You don’t have to just drink your water – you can eat it too! Some foods that contain over 90% water are cucumbers, zucchinis, watermelon, and grapefruit. Try a refreshing cucumber and tomato salad or pop a few pieces of grapefruit for dessert. A popular dinner choice is zucchini “zoodles” with some grilled chicken for a deliciously healthy alternative to pasta. Incorporate one or more of these foods into every summer meal for an extra dose of hydration! This has the added benefit of helping you feel less hungry at mealtimes, but it’s a good method to get yourself in the habit of drinking more water throughout the day. Since thirst can often feel like hunger pains, hydrate before each meal to fill yourself up without extra calories. It’s also a great way to get used to drinking water at different points of the day so you’re not just chugging it all at once. If you sit at a desk all day, a water bottle with marked times for you to drink could be a good way to remind yourself to get in some hydration on a consistent basis. This is a great way to pace yourself! Taking between four to eight sips of water each hour will help you get closer to your daily goal. Make sure you keep a source of water close by at all times – it can be easy to forget to keep drinking if your water bottle isn’t close by! Drinking enough water every day can seem like a burden, so use our tips to make it more fun! Got some of your own tips to share with us? Let us know in the comments below!